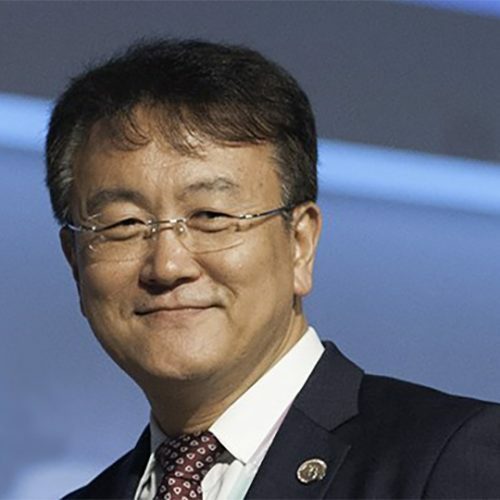 He started his professional life in 1986 as a researcher at Korea Telecom. After 17 years he took up a role at the country’s Electronic and Telecommunications Research Institute (ETRI), where he stayed for the next eight years. He acted as Vice-Chairman of ITU-T Study Group 13 ‘Future Networks and Cloud’ from 2001 until 2008, becoming Chairman of that group in 2009. Study Group 13 works to develop standardization solutions for NGNs, future networks and cloud computing, Internet of Things (IoT), and mobile telecommunications, to ensure their smooth international deployment in the coming years. Dr Lee holds a PhD in Multimedia Engineering.